Phillip Lopate on Leonard Lopate, in Brothers: 26 Stories of Love and Rivalry. 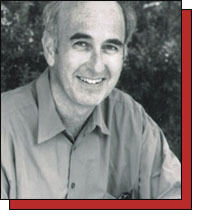 SMITH is honored to run an essay by Phillip Lopate—author, teacher, and true master of the craft of storytelling. Lopate has written many essays, novels, and collections of poetry, and he’s the editor of the Bible for any budding storyteller, The Art of the Personal Essay. From film to art to meditations on city life to his own experiences as a teacher, there’s isn’t much that Lopate hasn’t considered. Yet there’s one subject he’s never broached in the public sphere: his brother. Now, in Andrew Blauner’s Brothers: 26 Stories of Love and Rivalry (Wiley/Jossey-Bass), Lopate talks about his relationship with his brother, media star Leonard Lopate, for the first time. We are quite a lot alike. Whenever we don’t see each other for a while and then reunite and then compare notes on movies, books, current events, we find we have almost always come to the same conclusions. In our adolescence, he was my mentor, introducing me to Billie Holiday and the Dadaists; so it is hardly surprising, my mind having been formed to an extent by his, that we continue to share so many tastes. When we were growing up, we indulged in that Corsican Brothers fantasy: that whatever happened to one, the other would feel, however much distance separated us. The narcissism of small differences: he is three years older, yet more ardent, youthful, risk-taking, still chasing happiness. I always act like the older, graver, more prudent one, giving advice. He likes fine wines and fancy food, is something of a sensualist and an epicurean. 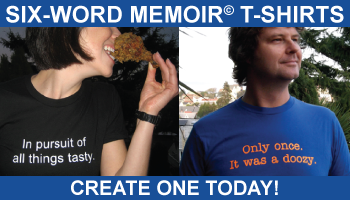 I, a stoic, can appreciate a well-cooked meal but will not go miles out of my way for one. He is bolder, more reckless. He acts, I watch. Bicycling around Europe in his mid-sixties, he had an accident and fell off the bike and was taken to a hospital, where he received several stitches. When he phoned from abroad to ask me to pick him up at the airport and drive him home, it gave me great pleasure to run that errand. I waited for him at the receiving entrance and he had a dazed look, a bandage on his head, looking around and not recognizing me at first. It disturbed me, as only a younger sibling can be, to see him so vulnerable; yet also made me proud, to be the one to take him in hand. When we were teenagers, people would say I was the better-looking. Now, in our middle-aged years, he is definitely the more handsome. He has retained a full head of hair, while I have lost mine, following our father’s tendency to baldness. He wears a full beard and has a commanding stare, no longer hidden by spectacles, thanks to laser surgery. One of the ways we differ most is that my brother identifies with our mother, and I with our father. Both our parents are dead, but they continue to rule our psyches and orient our moral compasses. Our mother was a flamboyant, lusty, histrionic personality, for whom the term “larger than life” applies; she had wanted to sing and act, was thwarted for many years by having to work as a clerk and raise a family, but in the last decades of her life she did perform on stage, acted in TV commercials, sang in supper clubs. Our father was a rather withdrawn, self-taught intellectual who wanted to be a writer; he lived what Matthew Arnold called “the buried life,” toiling as a factory worker and textile clerk. The taciturn scapegoat of our family, he eventually was divorced by my mother and exiled or abandoned to a nursing home. While they lived together they made an odd couple: Eros and Thanatos, you might say. I felt sorry for my father; our fates were permanently entwined on my assumption of his literary ambition, by which I was both honoring and replacing him. My brother, on the other hand, did not get along with my father and retains very little fondness for him. He drew his strength from the example of my mother, who threw herself, with generosity and bravado, into the fray as an entertainer. My brother is a radio personality, heard every weekday in the New York metropolitan area on a mid-day interview show. Being a generalist and a quick study, he ranges widely, questioning novelists, politicians, scientists, film directors, actresses, car mechanics, chefs, etc. I listen as often as I can, not only because he is my brother but because he has, in my opinion, the best show on radio—the most informative, the most discerning. Even knowing him as I do, I am still amazed at how astutely he can shape a fifteen-minute or half-hour interview. Of course, knowing him as I do, I also am aware when he is bluffing about a subject he has only vague notions about, and I sometimes catch him making errors, confusing, say, T.H. White (whose book about King Arthur, The Once and Future King, we read in our household growing up), with the political pundit Theodore White. Or I will yell at the radio, “No no no, Lenny!” when he makes an asinine comment. I am more tolerant of his bad puns; those we love should be permitted their puns. My secret pleasure in listening to him is that I can still hear the unsure but learning-eager adolescent he was at our dinner table, imparting his latest discovery, inside the smooth tones of the all-knowing radio personality. Though he always had a euphonious voice, he has done considerable work on that instrument, shaping its baritone, losing the family’s Brooklyn regionalisms. The only aspect of his radio persona that dismays me is when he comes across as dripping with empathy for some guest who is telling her sob story (usually it’s a woman); and I sense a blip of insincerity in that momentary delay or vocal catch that has become a signature tic of his delivery. Maybe I’m just too conscious of how sardonic and unsentimental he can be in real life, and how much of a constructed artifact his radio persona is. But that is part of what makes him a professional. We are both proud of each other’s success—he no less than I. Sometimes I am listening to his show and will be brought up short by a reference to his brother the writer. I register that I am in his thoughts as much as he is in mine. Are we competitive? Of course. But the roots of our sibling rivalry go so far back, and have been overlaid with so much self-conscious discussion between us about the phenomenon, and each of us has gotten so much public approval since, that in truth I don’t (consciously) experience competing in his presence any more. The times I do experience a twinge of sibling rivalry is when he is not around, and others bring him up. People are constantly pitting us against each other, either for their own sadistic amusement or experimental curiosity, to see what reactions they can elicit. Lenny is the more well-known of the two: a radio personality cannot help but have more fans than an essayist. And the bond that a talk-show host has with his regular audience goes deep: not seeing the person but only hearing his mellifluous, sympathetic voice each day invites them to fantasize and idealize him….Nevertheless, even understanding this dynamic, I do not like it when I am giving a reading at a bookstore and someone comes up to me and the first question he or she asks is about my brother: that seems to me a lapse in tact, especially at that moment, when I am trying to project an outsized, authorial persona. I forgive the zhlubs their need to connect with celebrity through me. The ones I have a harder time forgiving are my fellow authors, often with bigger names than mine, who should know better but only want to talk to me about Lenny, and the last time they were on his show or saw him socially. I have the urge to say to them: Look, I’ve written a dozen books, why not spare a word or two for my literary output? But with typical writer’s narcissism they are much more grateful to Lenny for publicizing their latest; he nurses carefully his relationships with big-name authors, and they regard him as a useful extension of their egos. It’s also a source of minor chagrin when I am introduced to someone who says “Oh, I love what you do on the radio.” I should laugh it off, the way John Ford did when people told him their favorite film of his was Red River; he would say thank you with modest politeness and never correct them since that particular western was directed by Howard Hawks. Then again, my brother tells me that many people have the mistaken impression he has written my books. We laugh at this notion that either one of us could be expected to hold down a demanding radio show while writing book after book. When he is at home and we are talking on the phone, which we usually do about once a week, I sometimes sense that he is making a remark to me for the benefit of his mate, who is within earshot. It can be a flattering remark about her, meant to keep the peace—perfectly understandable, but I resent being used in that way as a straight-man. In short, I am very jealous of our unique tie, and do not like to see it diluted in any way. I would rather get together with him alone than share him en famille. Those times, all too rare, when we do see each other alone, either going to a play or a preview screening to which he generously invites me, usually because the director or performer will be appearing on his show, we are apt to have a terrific conversation that recaptures the rapport of old. There is something so deeply satisfying and sweet about these occasions, I can only surmise that if they do not happen more often, it may be because we both pull back from an idyllic intimacy which would almost be too threatening to sustain, or painful to see diminished through frequency. I should point out that, for all my antenna-attuned mistrust of my brother’s outer-directed personality, it is Lenny who will finally become much more open about his emotional problems or confusions of the moment, whereas I am more reserved and tend to use shorthand in those matters. I don’t know if that’s because, being the younger and more easily overwhelmed, I prefer to hold the power of the listener-therapist role, or because Lenny is more given to dramatizing himself, even if it means being seen as the one in crisis. When we were younger, my brother wanted to be an artist. As a child he painted battleships and self-portraits; then he graduated to abstraction, studied at the university with the arch-purist Ad Reinhardt, as well as such luminaries as Mark Rothko and Robert Morris. His paintings tended in a geometric, color-field direction. They were good, I thought. Had he continued, he would certainly have made a go of it. But he found them lacking in originality, or found he lacked the passion, the “fire in the belly,” to pursue painting full-time. Each of the four Lopate children had had artistic ambitions: my brother wanted to be an abstract painter, I, a writer, my sister Betty Ann, a musician, my younger sister Joan a painter as well. As it turned out, I was the only one who succeeded in cobbling a career out of my art. I don’t wish to gloat, but there it is: a situation that looms large in my mind, and fills me with a mixture of glee and survivor’s guilt. Regardless of the greater adulation my brother receives, regardless of the argument that doing radio might be construed as his artistic medium, I continue to feel that I hold the edge. My literary works have at least a chance of enduring, while his daily improvised chat, cruel as it may sound, will disappear into the ether. His is a journalist’s way of knowing, facts gathered for the occasion and ejected once the occasion is over; mine, I tell myself, is a more arduous, intellectual, serious pursuit of knowledge. My greatest defect is that much of the time I need to regard myself as superior to those around me, and to position myself in such a way that they will feel it too. Regardless of knowing full well that there are many different kinds of intelligence or that we are all ultimately dust and atoms under the aspect of eternity, I persist in wanting to view myself as the most intelligent person in social situations. That lamentable self-regard undoubtedly colors my relationship with my brother, in less than helpful ways. I insist on holding the “wisdom” and “maturity” cards, or on considering myself a half-step ahead of him mentally. But he forgives me, perhaps because he is the wiser and more ample-spirited. Together we look forward to sharing all the pleasures of old age: nostalgia, illness, incontinence, senility, abandonment. We will not abandon each other, I hope, because the world is less lonely for me as long as my brother is in it. He has been, if not the most important relationship in my life, certainly one of the most defining ones. I’ll say more: he has been my personal metaphor for Life itself, in all its encompassing urgency. © 2008 by Phillip Lopate. 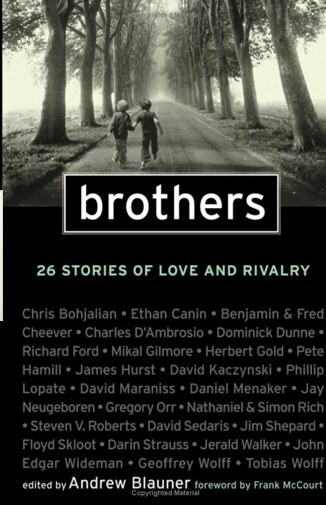 Excerpted with permission from Brothers: 26 Stories of Love and Rivalry by Andrew Blauner. Who Will need a Dental Insurance Plan? Almost, but not quite, as tedious as your brother. Excellent!!! A very compelling and insightful look at the wonders and complexities of sibling relationships. I appreciate Mr. Lopate’s willingness to share the rough spots as well as the more easily expressed nice aspects of his relationship with his brother. I would like to share tyat I li?le your blog post.